As we’ve previously covered, there is no shortage of ways for scammers to target unsuspecting Apple users. But now, there’s a new method for those malicious entities to make their attempts much more realistic. Scammers claiming to be Apple support staff are now masking their calls behind genuine phone numbers of the company’s brick-and-mortar retail locations, according to a local media report out of Phoenix. In other words, a user’s caller ID will say that the number belongs to Apple, Inc. — because, technically, it does. The media outlet, ABC 15, reports that one of their viewers received at least 10 calls within five hours, with each call listing a phone number belonging to an actual Apple Store. Because those numbers genuinely belonged to Apple Stores, ABC 15’s reporters were greeted with an automated warning put out by Apple cautioning users about the very scam. Apparently, scammers have figured out a way to spoof a call to make it appear like an Apple Store is the one initiating it. This type of spoofing isn’t exactly new, but this is the first time we’ve seen scammers leverage actual Apple Store numbers. Of course, it’s at this point that we have to point out a logical flaw with the scam technique. Instructing recipients to actually call back Apple Stores doesn’t seem very fruitful — especially since callers will be greeted to a warning about the very scam they might have fallen prey to. It doesn’t really make much sense. And it kind of seems like the scammers didn’t exactly think this method through. On the other hand, if that spoofed Apple Store number does call back, some users might find the scam to be more believable. That goes double for targeted users who haven’t received a voicemail from the scammers. There are a number of ways you can protect yourself from Apple-targeted scams. Chief among them is knowing this one fact: Apple doesn’t contact its customers via phone. 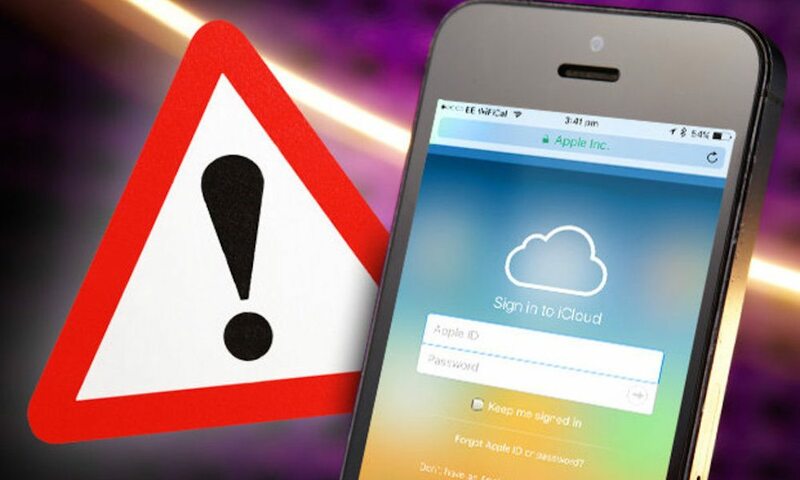 If there really is a problem with your Apple ID or iCloud account, you’re likely to receive an email instead (though be warned that emails and texts can also be spoofed quite realistically). If you do receive unsolicited contact from someone claiming to be from Apple, don’t trust it. Never give those callers, emails or websites any personal information or data. Instead, contact Apple directly through a verified medium to see if there’s actually an issue. Luckily, Apple has several support documents that can help you identify genuine contact from the company. For more information on cybercrime in general, you can visit the FBI’s website on the matter here.